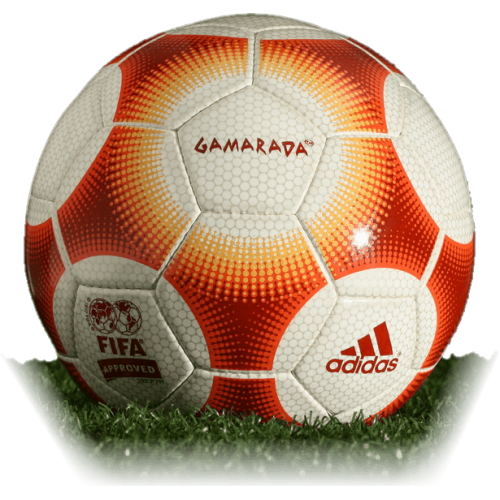 This ball Gamarada was used in Olympic Games 2000 in Sydney (Australia). The first ball in 1970 for the World Cup was not made in Europe: Tricolore created in Marokko. World..
Name and blue-silver design Terrestra Silverstream dedicated rivers ( "silver threads") countries ho..